Get Ready for Shopping Small on November 25! Small businesses play a key role in helping communities thrive. Shopping Small Business Saturday is an annual shopping tradition dedicated to supporting small businesses and celebrating communities across the country. So let’s show some local flair by making Nov. 25 something special! Small Business Saturday has been celebrated every year on the Saturday after Thanksgiving since it was founded by American Express in 2010. In many ways, it now capitalizes on the buzz created by Black Friday in many communities. In Hawaii, more than a dozen business organizations from chambers and SBA to Main Street associations, business development centers and shopping centers are providing support, special promotions and encouraging the participation of our unique small businesses and local consumers. See what’s happening on Maui at https://www.facebook.com/shopsmallmaui/. There is still time for creative companies to sign up, create a special promotion, learn some new marketing techniques to try out before the busy holiday season. Check out https://www.americanexpress.com/us/small-business/shop-small to see more successful, fun ideas to create a shopping experience for your customers. Find a champion in your neighborhood. Look for special marketing workshops with your favorite business group or the list below! Let’s do something special on November 25 and highlight just how special our small businesses are! Hawaii – SBA has opened the nominations for the prestigious SBA Small Business Awards for 2018. The annual SBA Small Business Awards continue to be the most competitive, comprehensive and visible awards presented to small businesses in the state. SBA’s program continues to generate interest and excitement in Hawaii with stories of innovation, creativity and teamwork and the positive, proactive measures that small business owners are taking to grow businesses, creating jobs and better communities. 2017 Hawaii winners Garrett and Melanie Marrero (pictured) certainly generated excitement when they won SBA's National title for Hawaii. The nomination forms with detailed information on the nominees are available on the website of the Hawaii SBDC Network at www.hisbdc.org or by contacting the Hawaii District Office. Any individual or organization may submit a nomination for an SBA Small Business Award. Self-nominations are also accepted. Previous SBA Award winners may be nominated if five years have lapsed since their award and the company continues to meet the eligibility requirements. Completed forms should be submitted to the SBA District Office at 500 Ala Moana Boulevard, Suite 1-306, no later than November 20, 2017. For more information, call SBA at 808-541-2990. SBA Administrator Linda McMahon announced the launch of Lender Match, the SBA’s online referral tool connecting small business borrowers with participating SBA lenders. Lender Match is an upgrade to LINC, introduced as a pilot in 2015. The free online tool allows small business owners to fill out a quick online form, without registration, and then connects them with lenders within 48 hours. There are more succinct questions and lenders are now able to better filter the referral they are sent. Lenders can also optimize their search criteria to identify specific types of borrower referrals for particular lines of business or specialized financing. Lender Match is available to all SBA 7(a) and 504 lenders nationwide, including nonprofit lenders that offer free financial advice and specialize in micro lending. Prospective borrowers can go to www.sba.gov/lendermatch to get matched with any number of institutions and increase their access to capital. There are currently more than 800 lenders in the SBA’s lending programs participating. Along with thirty-four community-based organizations across the United States, the Kohala Center on Hawaii Island is set to receive a grant from SBA’s Program for Investment in Micro-Entrepreneurs (PRIME). The program provides support for organizations that help low-income entrepreneurs gain access to capital to establish and expand their small businesses. The Kohala Center’s Rural and Cooperative Business Development Services provides technical assistance in cooperative and business development to microenterprises operating in rural areas throughout the State of Hawai‘i. The objectives of this project are to 1) improve local economic conditions by developing cooperative and small rural businesses and regional industries, and 2) increase the involvement of local business, cultural leaders, new industries, local financial institutions. With its PRIME award of $150,000, The Kohala Center’s project will serve economically disadvantaged microenterprises in low-income areas on the islands of Hawai‘i, Moloka‘i, and areas on O‘ahu outside of metropolitan Honolulu. The center will provide intensive one-to-one business development counseling and capitalization services to promote job retention/growth and secure funding for disadvantaged microenterprises. 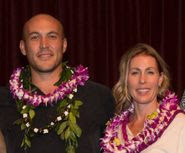 For more information, go to www.kohalacenter.org. 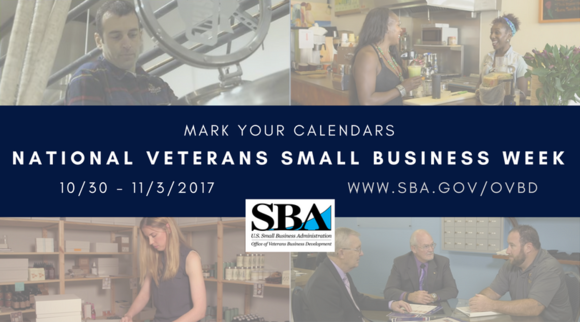 SBA celebrates, connects, and empowers service member (including National Guard and Reserve), veteran, and military spouse entrepreneurs and business owners—past, present, and future—during 2017’s National Veterans Small Business Week (NVSBW). NVSBW, now entering its fourth year, raises awareness of veteran business ownership and encourages communities to support their veteran- and military-owned businesses. It also inspires business support and mentorship within the veteran and military community, while connecting these business owners to entrepreneurship resources administered through OVBD and its stakeholders. Hawaii District Office and the Veteran’s Business Outreach Center (VBOC) of the Pacific, a partnership program with UH Hilo and SBA, will be shining a light on those Veteran entrepreneurs and businesses do an outstanding job of reflecting the spirit of entrepreneurship and pride that backs a strong and resilient economy. The Hawai’I Veteran Small Business Awards were developed to recognize local vets who have made a significant difference in their communities through business ownership, employment and promoting a sense of duty, volunteerism and an appreciation of democracy and freedom. The nomination guidelines and forms can be found at https://hilo.hawaii.edu/vboc. The deadline for nominations has been extended until October 24, 2017. Veteran Small Business Owner of the Year- Recognizes the individuals who demonstrate outstanding business skills and has the ability to create success as demonstrated by staying power, increasing revenues, job creation and business innovation. New Veteran Owned Small Business of the Year- Acknowledges the achievement of individual who demonstrates the determination and entrepreneurial skill to start and build a new emerging small business which was started within the last two years. Awards will be presented at a special event during National Veterans Small Business Week. The VBOC will also conduct a special “Reboot” training course for military, spouses and families on Saturday, November 4, 2017, in Honolulu. Contact the VBOC at 988-1236 for details. SBA’s Office of Government Contracting and Business Development is currently modernizing the electronic certification system. The new system, Certify.SBA.gov, will be available on Nov. 15, 2017 for firms interested in applying to the 8(a) BD program. Certify.SBA.gov will create a single repository for all government contracting programs and certification actions when fully realized, eliminating duplicative submissions and streamlining reporting. From Oct. 1, 2017 to Nov. 14, 2017, new program applicants will not be able to create a profile in the general Login System (GLS) or access a new application in the BDMIS. New applications will resume on Nov. 15, 2017. It should be noted that firms who have completed and submitted their applications in BDMIS and are awaiting a decision will still have access to GLS and BDMIS via their existing user id and password. Firms that are actively in the process of completing their applications but have not submitted will have until Oct. 15, 2017, to complete and submit their 8(a) application. If this is not accomplished by Oct. 15, those firms will have to restart the process within Certify.SBA.gov on or after Nov. 15, 2017. SBA Resource Day at First Hawaiian Bank-Kapiolani Branch – October 4, 2017, Wednesday, 9:00am-3:00pm, 1580 Kapiolani Boulevard, Honolulu, HI 96814. Registration required. Please call (808) 541-2990 x209. Girls’ Summit (Maui) – October 6, 2017, Friday. For more information, contact the Patsy T. Mink Center for Business & Leadership (MCBL) at mcbl@ywcaoahu.org. Native Hawaiian Convention-Small Biz Fair – October 10, 2017, Tuesday, 8:00am-2:00pm, Sheraton Waikiki Hotel & Resort. For more info, contact the Council for Native Hawaiian Advancement at (808) 596-8155. SBA Resource Day at Bank of Hawaii-Waiakamilo Branch – October 10, 2017, Tuesday, 9:00am-3:00pm, 1617 Waiakamilo Road, Honolulu, HI 96817. Registration required. Please call (808) 541-2990 x209. 20th Annual Air Cargo Day -- October 11, 2017, Wednesday, 7:00a.m.-4:00p.m., Japanese Cultural Center, 2454 S. Beretania Street, Honolulu, HI 96826. To register, go to www.aircargoassociationhawaii.org. How to Start a Small Business – Kauai – October 11, 2017, Wednesday, 5:30pm-8:30pm, Hawaii Small Business Development Center Network, 2970 Kele Street, Suite 101, Lihue, HI 96766. Registration required. To register, go to www.hisbdc.org or call (808) 241-3148. Maximize Small Business Saturday – October 12, 2017, Thursday, Hawaii Innovation Center, 117 Keawe Street, Hilo, HI 96720. To register, please call the Hawaii SBDC Network at (808) 933-0776. Women Winning in Business – October 13, 2017, Friday, 8:00am-10:00am, YWCA, 1040 Richards Street, Suite 105, Honolulu, HI. Register with the Patsy T. Mink Center for Business & Leadership (MCBL) at mcbl@ywcaoahu.org. Toastmasters – October 24, 2017, Tuesday, 12:00pm-1:00pm, YWCA, 1040 Richards Street, Suite 105, Honolulu, HI. Register with the Patsy T. Mink Center for Business & Leadership (MCBL) at mcbl@ywcaoahu.org. Hawaii Business Wahine Forum – October 26, 2017, Thursday, 7:30a.m.-4:30pm, Hilton Hawaiian Village-Coral Ballroom, 2005 Kalia Road, Honolulu, HI. Register with the Patsy T. Mink Center for Business & Leadership (MCBL) at mcbl@ywcaoahu.org.